You know what’s guilt? Guilt is that sharp pang in your chest when you realize you had the opportunity and the book itself to read but you still slacked it month by month, and now it’s impossible to read them before the new year. #Project14Lists is an idea launched by the amazing Shealea over atThatBookshelfBitch and she had recently tweeted about it. Considering my newfound love for list posts [See: TEN 2019 YA DEBUT NOVELS YOU NEED TO ADD TO YOUR TBR! | 20 NOVELS RELEASING IN 2019 THAT WILL MAKE YOU OVERUSE THE HASHTAGS FOR COVER LOVE] I didn’t think twice before sending Shealea a DM and deciding to join this project. For this post, I’ve compiled a list of top ten books that I feel guilty about not reading in 2018 itself so will be reading as soon as 2019 starts. YES, YES! I can hear you all! Despite being approved for an ARC on NetGalley in June 2018 I still haven’t read this amazing, highly-acclaimed historical fiction-fantasy. But it isn’t completely my fault! I can explain myself: I had started reading this and absolutely loved it, but then I stopped right in the middle. No, the book didn’t disinterest me. Instead, I won a giveaway on Twitter and I had a chance to order two books from Book Depository so I thought to myself, “If I can actually hold and read the finished copy of this amazing book, then why should I read a digital ARC?” and that’s how this went to the un-read shelf. Unfortunately, I still haven’t received the prize of that giveaway [I’m not saying it’s the fault of the giveaway maker because I know how long TBD takes to ship to India; sometimes months.] Anyway, now that I look back to the past six months, I feel super guilty of not picking it up anytime despite seeing everyone enjoying it so much. It even remains un-read on my Netgalley and that’s like a double loss for my ratio. I can literally hear everyone scream Fanna, what’s wrong with you?! Trust me, I keep asking myself that! 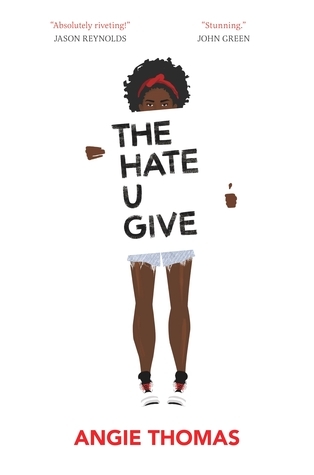 The Hate U Give has been on my TBR since it released in February 2017 but I never read it in 2017 because I was on a book-buying ban. Then 2018 came and with it came all the stunning new releases, and I gave into them. Plus, I had only started blogging so I was in the daze where ARCs are life (which they actually aren’t) and so my mind never went to the great titles of 2017, like this one. Then something completely unexpected but best happened: Jes [JesReadsBooks] sent me a copy of this as part of granting a #BookishWish that was trending on Twitter during August 2018. I remember receiving the book in August itself and gushing about it to my friends and family. And then I did something that shouldn’t be done: I kept it at the bottom of my TBR. So it went kind of (absolutely undeserved) unnoticed for the next two months. I finally did pick it up at the end of October but I don’t know why I just couldn’t continue past the actual gunshot scene. I think I need to be in a mood to read this book because one thing I can say for sure–it’s going to be emotionally heavy. And a lot of book bloggers have mentioned something along those lines in their reviews about THUG, too. Hopefully, I’ll read and rave about this one in 2019! Needless to say, I instantly added this book to my TBR and consequently, to my #BookishWish list which I later posted on Twitter. Simant [FlippingThruThePages] is one of the sweetest and most helpful souls in this blogging community so when I got a message from her saying she would love to send me a copy of this, I wasn’t surprised by her kindness but I was SO GRATEFUL! Despite receiving this in September, I haven’t picked it up yet because again, I think it’s going to be pretty impacting and I want to be in the right mindset, which (unfortunately) my university’s continuous mid-terms and end-sem exams have not let me acquire. Charlie Grant’s older sister is getting married this weekend at their family home, and Charlie can’t wait for the first time in years, all four of her older siblings will be under one roof. Charlie is desperate for one last perfect weekend, before the house is sold and everything changes. The house will be filled with jokes and games and laughs again. Making decisions about things like what college to attend and reuniting with longstanding crush Jesse Foster all that can wait. She wants to focus on making the weekend perfect. The only problem? The weekend is shaping up to be an absolute disaster. There’s the unexpected dog with a penchant for howling, house alarm that won’t stop going off, and a papergirl with a grudge. There are the relatives who aren’t speaking, the (awful) girl her favorite brother brought home unannounced, and a missing tuxedo. Not to mention the neighbor who seems to be bent on sabotage and a storm that is bent on drenching everything. The justice of the peace is missing. The band will only play covers. The guests are all crazy. And the wedding planner’s nephew is unexpectedly, distractedly cute. 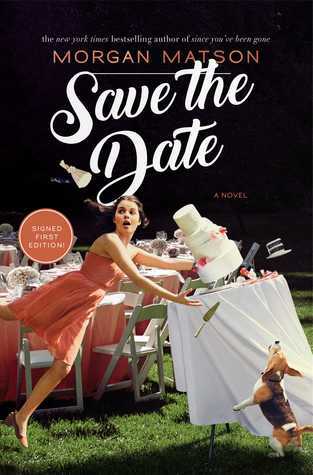 I read my first ever Morgan Matson book last year–The Unexpected Everything–and really liked it so when A [AvidReaderDiary] was granting some #BookishWish by giving away electronic copies of Save The Date, I couldn’t stop myself. In fact, I was so excited I even proposed a buddy read to this lovely person and she was sweet enough to say yes. It was meant to happen in October. Spoiler: it never happened. I’m so embarrassed because I was drowning in the university commitments and that was the time when I actually took a hiatus from blogging and reading and just about everything. Save The Date looks like a great, sweet summer contemporary and I think I’ll book it for Summer 2019! Heart of Mist is a highly recommended book by Shealea [ThatBookshelfBitch] that has been on my TBR since I read her review of it. Luckily, she set up a blog tour for the sequel to this book–Reign of Mist–and I was a part of it. Consequently, I received both books in The Oremere Chronicles and was extremely excited to read and review these. However, I was suddenly hit by a lot of commitments especially since I had only shifted to India and joined a university here, and I had to go on the unannounced hiatus of almost three months. Unfortunately, I couldn’t be a part of that blog tour and of course, didn’t pick up either of the books. This was probably the most guilty recounting in this post! But that’s going to change soon because I’m thinking of picking up this young adult fantasy asap in 2019! Have you ever wanted to read something but couldn’t pick it up due to unfortunate reasons? I’m thankful for all the love and support you guys show toward me and my content and as a little gratitude showcase, I’ve set up a giveaway over at my Instagram where three (or more!!!) winners can win a book from Book Depository! So if you’re also anticipating one of these titles or any other (or have been wanting to read one since forever) you can head over to my Instagram and enter the giveaway! A quick endnote: any and all support toward this blog is appreciated and if you’re currently willing to help out this blog, please do consider donating through my ko-fi page. [all donations through this will be used for the blog/content creation/giveaways] Though, that’s not the only way you can support the blog–you can even purchase/pre-order any of these releases via my affiliate links that are spread throughout this post and that can help me earn a little through Amazon without any extra cost to you. But if you’re not able to do any of these two, (I still love you!!!) you can help the content by sharing it on social media and commenting. LOVE this list!! I’ve only read Save the Date from here (such a cute book! 💕)I really need to read the Poppy war soon! Ah yes, I’ve heart how cute it is, which makes me want to read it asap 😀 SAME! I’m guilty of not reading a lot of books on my TBR but I’ve learned to ignore my guilt and just read whatever I am in the mood for nowadays or else I’d be too stressed and then I won’t be finishing a book at all. 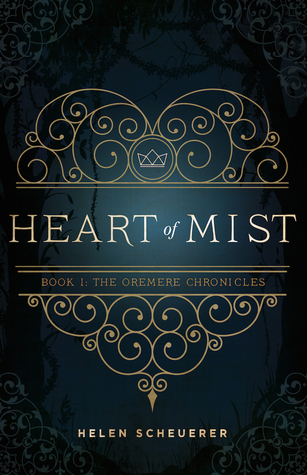 I joined the Twitter chat for Reign of Mist and that’s how I came to know about The Oremere Chronicles. I’ll be (hopefully) starting the series in 2019 as well! Thank you! 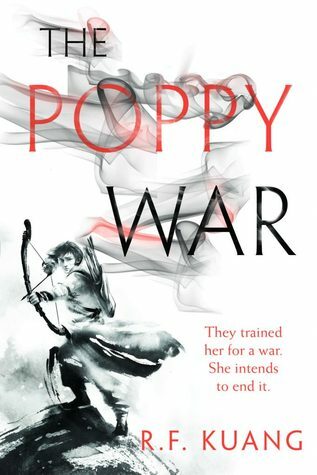 I will make it a point to read the poppy war soon! I’ve heard so much about The Poppy War! I’m intrigued by all the hype but not sure when I’ll reach for it. FANNAAAAA HOW HAVE YOU NOT READ THESE?! 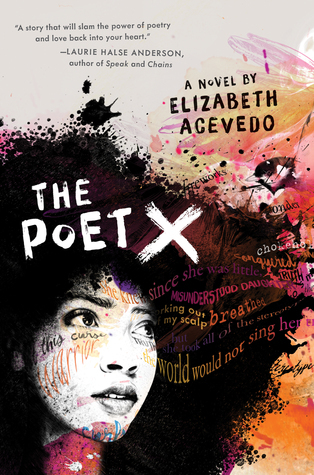 💔 Just kidding, I haven’t read The Poet X either, but I really hope you read all the books on your list when you’re able to 🙂 I loved them so much I would love to hear your thoughts! I KNEW SOMEONE IS GONNA SHOUT AT ME FOR THIS 😀 (But I love when readers shout, it shows our passion for books <3) Will do! Hopefully soon! THUG is also languishing on my shelf because I was going to pick it up, but there was enough emotional upheaval in life that I couldn’t bring myself to go through more with the book? I’m hoping when things settle down, I’ll be able to FINALLY read it because it’s something I’ve been wanting to read since I first heard about it. I LOVE THUG! It was the best, or close to best, book I read this year. The Poppy Wars was good also. I’ve seen Save the Date and The Poet X around, but I do not have either of them. . .well yet. Ugh my list for books I bought and didn’t make time to read is going to be so long and it makes me sad. I don’t even want to think about all the books I got this year and haven’t read yet *hides*. I hope you finish all of these right away in 2019! I have SO many books from this year that I just haven’t gotten to and it’s seriously the worst. I look at them all the time and think I should pick them up to read, but I never have any time. Save the Date is one of those on my list. Hopefully we can read our backlist 2017/2018 books in 2019!